Lauren Bush Lauren is the founder of FEED Projects, a global fashion movement designed to fight world hunger. Proceeds from FEED products help provide lunch to school children worldwide. Since 2007, FEED has donated over 95 million meals to underserved communities. In 2014, Lauren was named one of Forbes 30 Under 30 Social Entrepreneurs and one of Crain’s 40 Under 40. We dive into everything from what makes a powerhouse brand to how we can eradicate world hunger. Lauren illuminates the links between entrepreneurship and social responsibility and shares key insights for anyone who wants to change the world. We hope you enjoy our conversation with Lauren Bush Lauren. 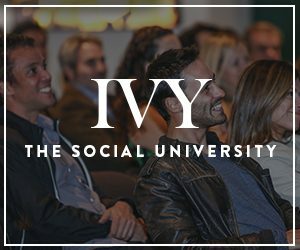 Check out IVY.com to enjoy access to a lifetime of learning, growth, and impact through in-person collaborations with world-class leaders, thinkers, and institutions. For more information on FEED and to see how you can help end world hunger, visit www.feedprojects.com.